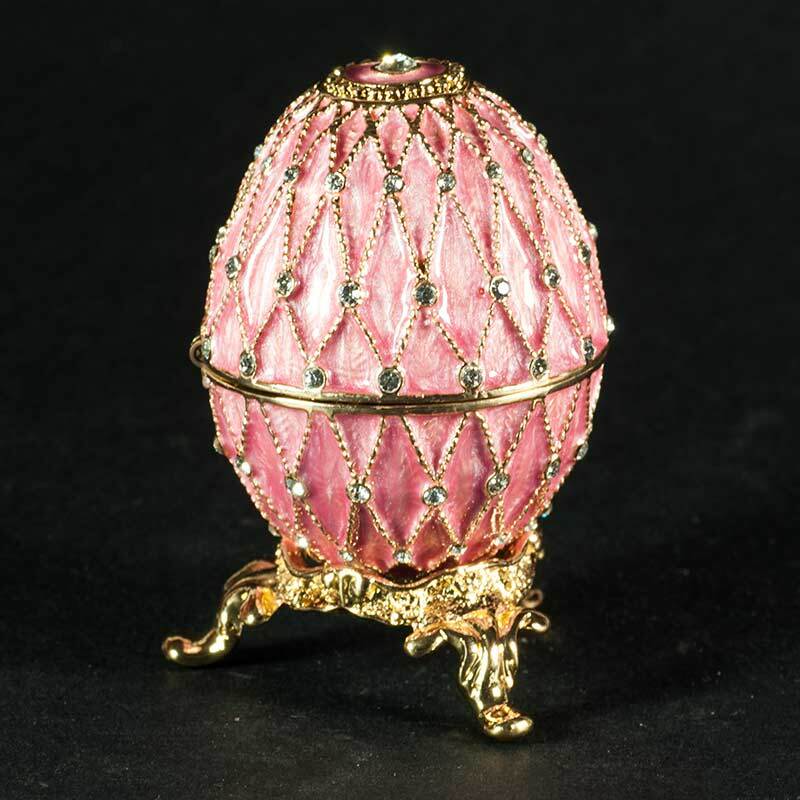 Openwork Net Pink Egg is a Faberge style egg is made in old traditions of by Russian company AKM. 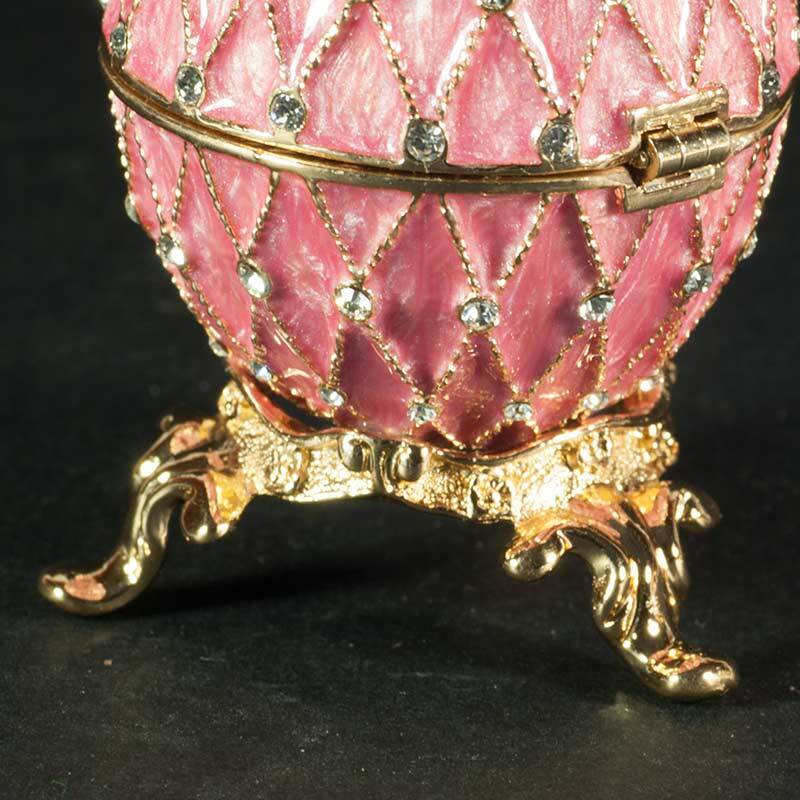 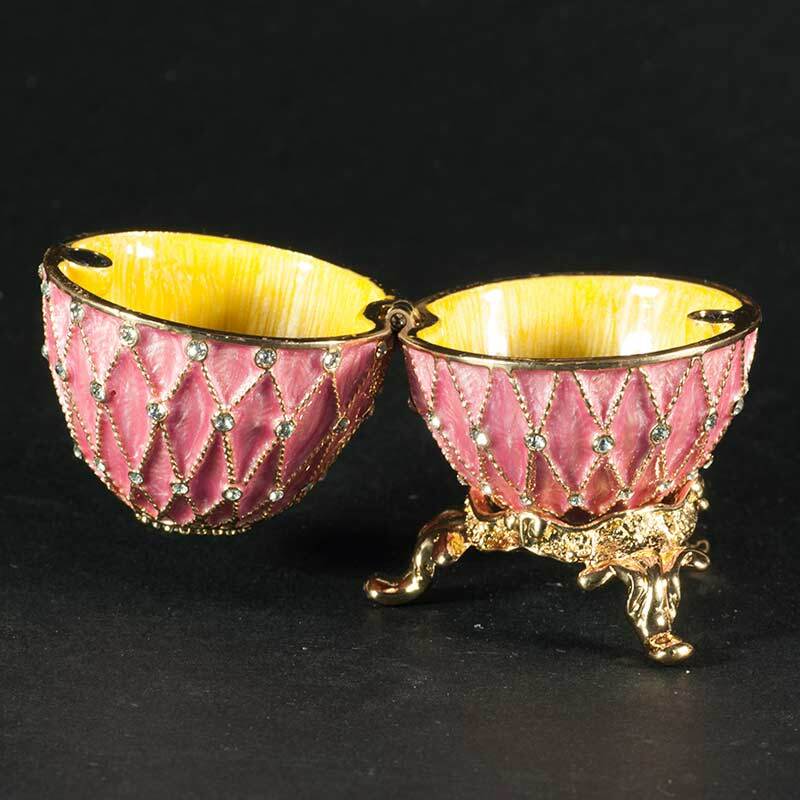 The egg is made of brass, gilded, enameled with several layers of multicolored enamel and it is also nicely decorated with Austrian crystals. 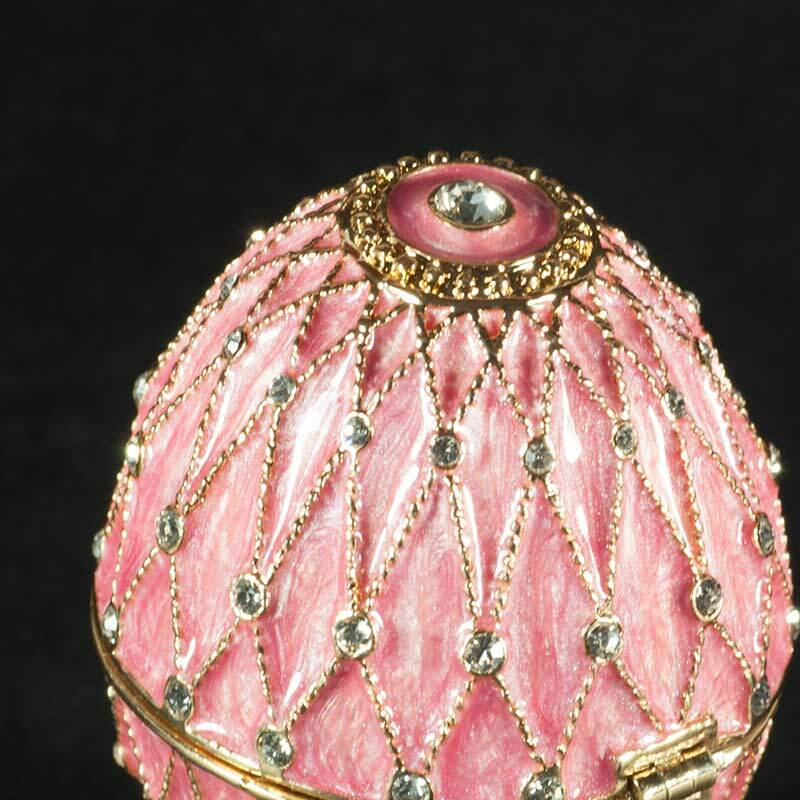 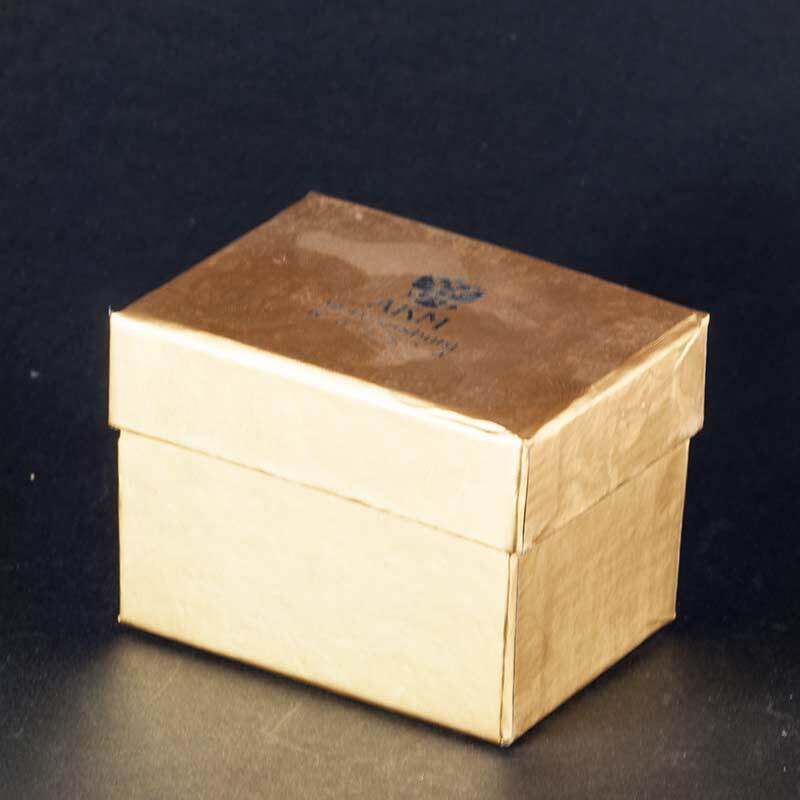 The egg is packed into a special decorated box.